The summer of 2015 was pretty awesome for Play Date. It was full of new stuff! New songs, new venues and lots and lots of new friends! We worked super hard for over a year writing and recording for We All Shine so it was a blast of satisfaction to be on our biggest tour ever during its release. Thanks to our good friend Chelsea for capturing a lot of the great moments of the east coast leg of the tour. She really got some great shots! They tell the story of our summer pretty well all on their own but here's a quick "verbal montage" of the highlights! Stamford CT- Our first time there and we had a great show in the park.. The weather was perfect and we played to all new faces! Brooklyn, NY- The new park under the bridge is amazing! Check it out if you haven't been there. It was a really hot day but still a ton of fun, thank goodness for the tent we got! We met a lot of new friends from Brooklyn and were really stoked to see some familiar faces from NYC and Long Island. NYC- Ronnie Scalzo's amazing podcast!! Interviews can be a lot of fun when you like the person interviewing you! Thanks Ronnie for having us on your podcast again. Yonkers, NY- The River Walk at Yonkers had A LOT of good dancers! Asbury Park, NJ- Porta Pizza in Asbury Park was chock full of our family and friends... AND did I mention, PIZZA.. It was our official release party and we had such a good time. It was fun to see that some parents had brought their kids to the Bouncing Souls show at the Starland Ballroon the night before! It was too cute to hear a few of the kids say, "I was at the Souls show last night!" 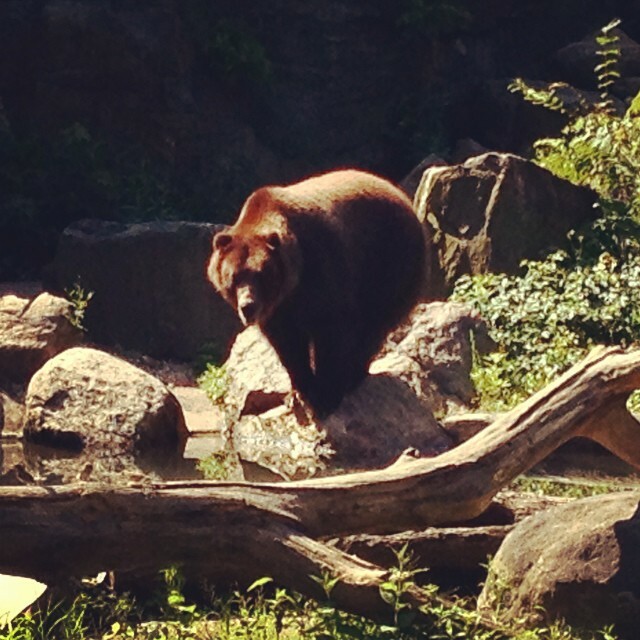 The Bronx Zoo- What can we say.. It was the BRONX ZOO! We had a view of GRIZZY BEARS from the backstage! Metuchen, NJ- Sunflower Series, another super sweet outdoor show for a great crowd of singers and dancers. This show reminded us of our years on the Warped tour because the kids were dancing around kicking up the dust. It was a great mini pit. Philly, PA- The Kidchella festival show in Philadelphia was the perfect way to celebrate on the actual day of our record release on July 29th. There were over 1200 kids and parents rocking out with us in the Smith Memorial park at sunset! We were so stoked. 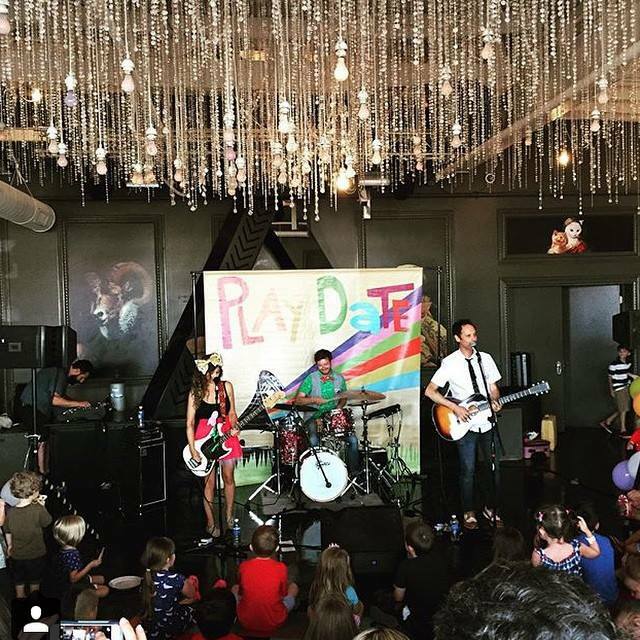 Seattle,WA- We were really excited to be able to play at some of the libraries in the Seattle area for the first time and to play a great outdoor show in Everett! They have been doing their outdoor family series at their beautiful lakefront spot for over 25 years. Pretty cool! Boise, ID- Its almost our hometown so we had ANOTHER record release party and one of our favorite promoters is there. Thanks for putting on the show Eric! McCall, ID- One of our favorite venues in the world is in our hometown of McCall Idaho. It the Alpine Playhouse. It was great to wind up a super busy summer with all our friends in the coziness of our mountain home. Thanks to everyone who brought out their great spirits and love for music. We are always overjoyed to be able to share our music with you. It was also great to see all our hard work, writing, recording and booking pay off with so many good times and memories! Thanks life, for being so tough and so rewarding at the same time! Newer: L-O-V-E You - New Video!Older:Play Date - We All Shine - Summer Tour!